The MSN Emotions display pictures pack is a new set of free emotion MSN avatars for MSN Messenger. 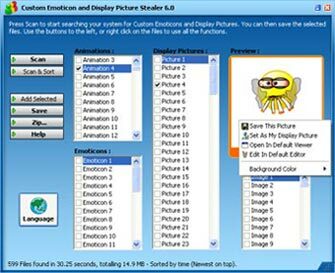 This free pack contains lots of cool, funny emotion MSN avatars for use as MSN Display Pictures! For more free MSN Avatars and MSN Display Pictures go Here! Here is a brand new emoticon font set for MSN Messenger. The font is called Zangy and you can download it right here. Another emoticon pack (#14) is up for download for all you emoticon and smiley fans. Download it below! 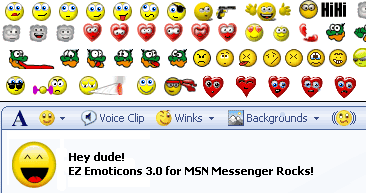 The emoticons pack is free and contains a hundred emoticons for MSN. Get the other free emoticon packs over HERE.